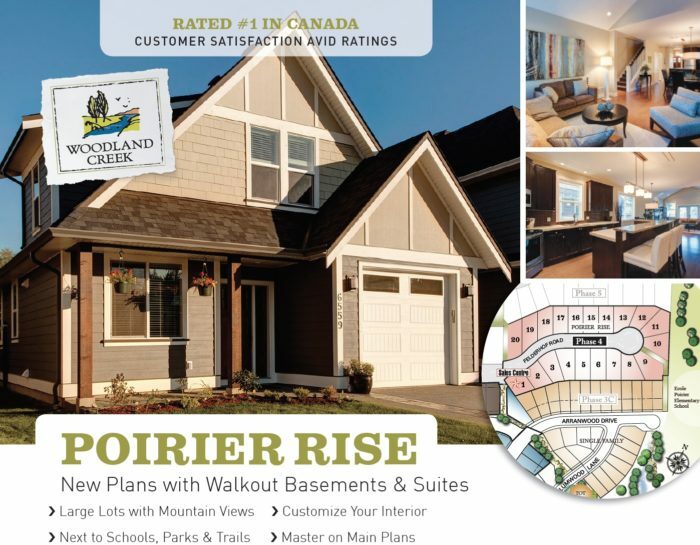 We are pleased to introduce you to the Cordova Plan at Woodland Creek. This is a one of a kind custom plan with views south to the mountains. 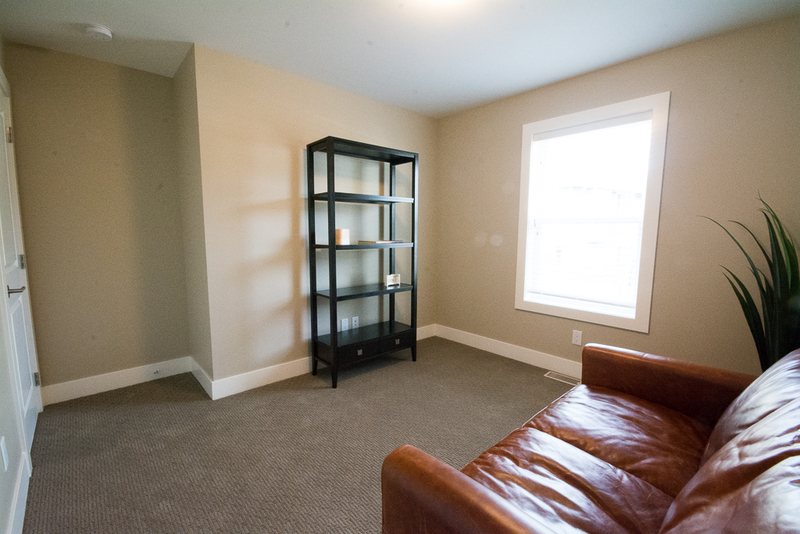 The Cordova offers spacious family living with 3 bedrooms on the main level with a walk out basement including an additional bedroom, rec room, media room and the bonus of a bright legal 1 bedroom basement suite. 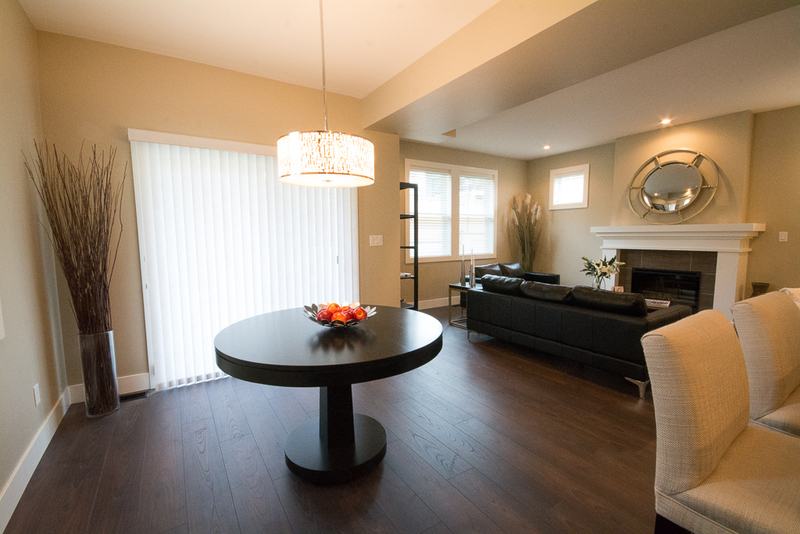 Enter to a bright foyer, find a sunny deck off a large living room with fireplace, enjoy a bright gourmet kitchen with quartz countertops, relax in a large south facing master suite with ensuite including heated tile floor, double vanity & tiled shower. 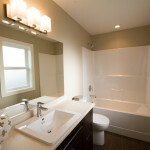 Enjoy the comfort of an energy efficient Red Zone gas forced air heating system and Bosch instantaneous gas hot water. 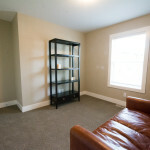 Look closely for the finer details such as birch plywood kitchen cabinet boxes and crown molding. 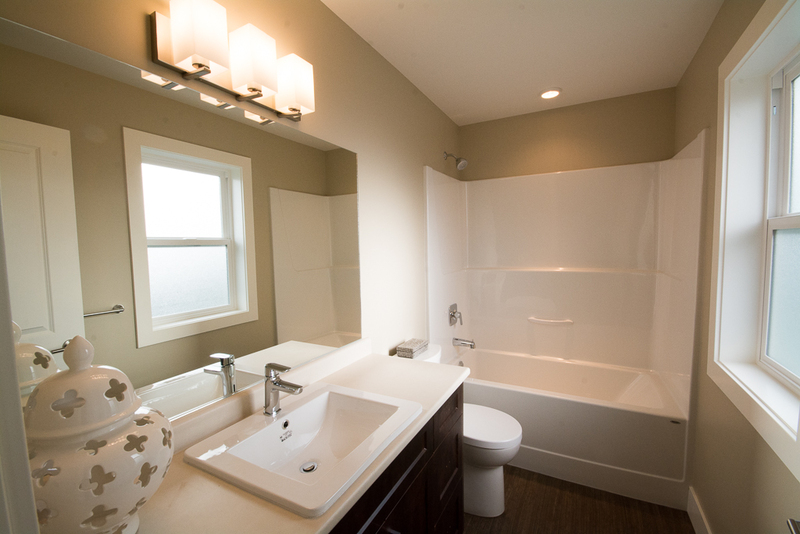 These are just a few of the striking features of this beautiful new home. 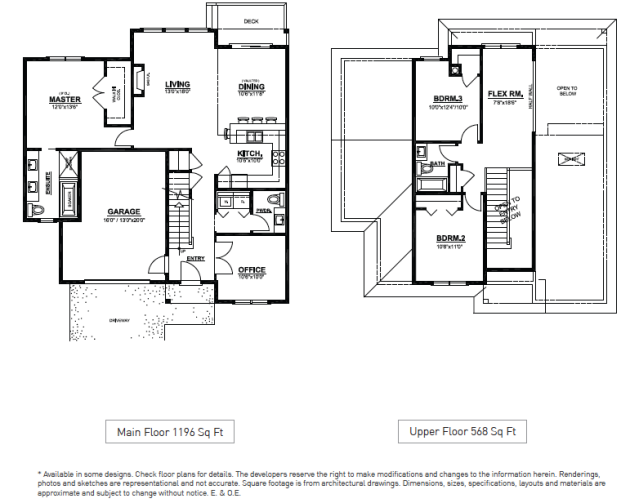 The new Sherigham and Carmanah home plans provide 3 or 4 bedrooms plus den, a sunny south facing deck off a light filled great room and gourmet kitchen. 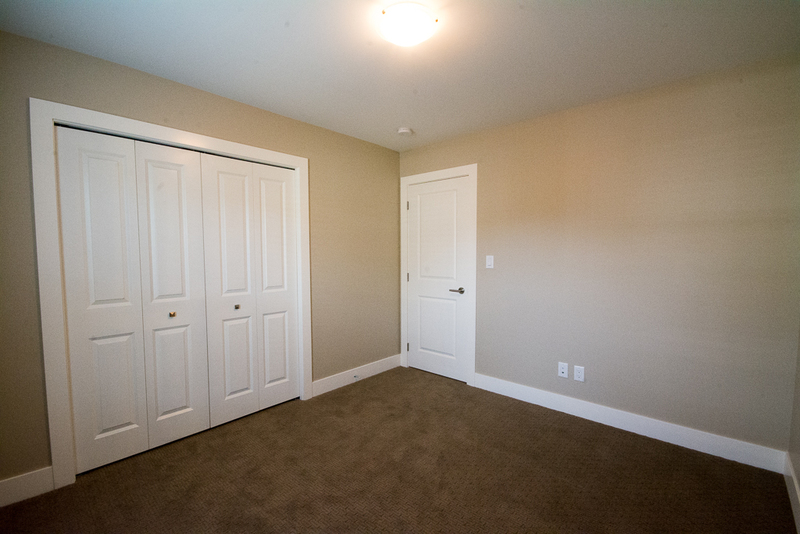 The master bedroom suite commands a great view to the south, walk in closet, and deluxe ensuite bathroom with dual vanity and separate tub and shower. 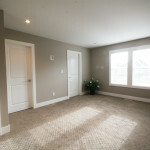 A legal one bedroom suite in the basement provides room for in-laws or renters. Generous yards are fenced and landscaped. 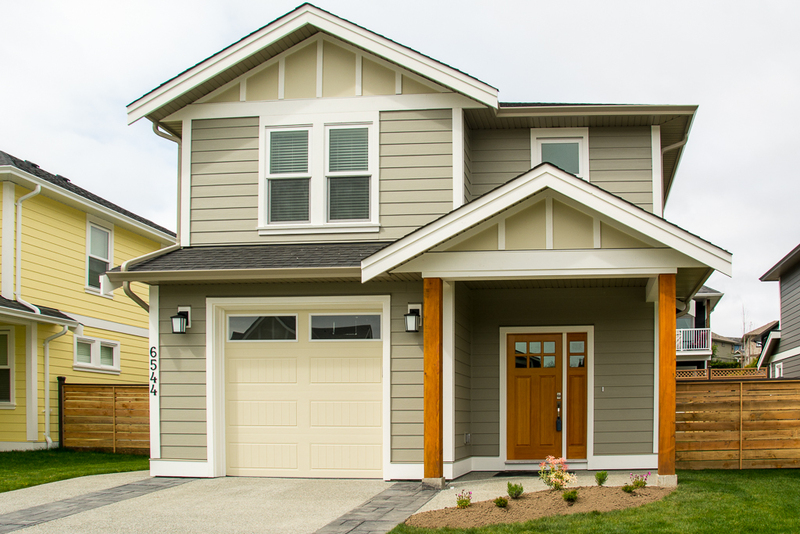 The Fairfield I and II plans are a variation on our popular award winning Arbutus plan with the Master on the Main but we’ve added a larger garage, and a walk out basement that can accommodate extra bedrooms and rec room or a legal suite. 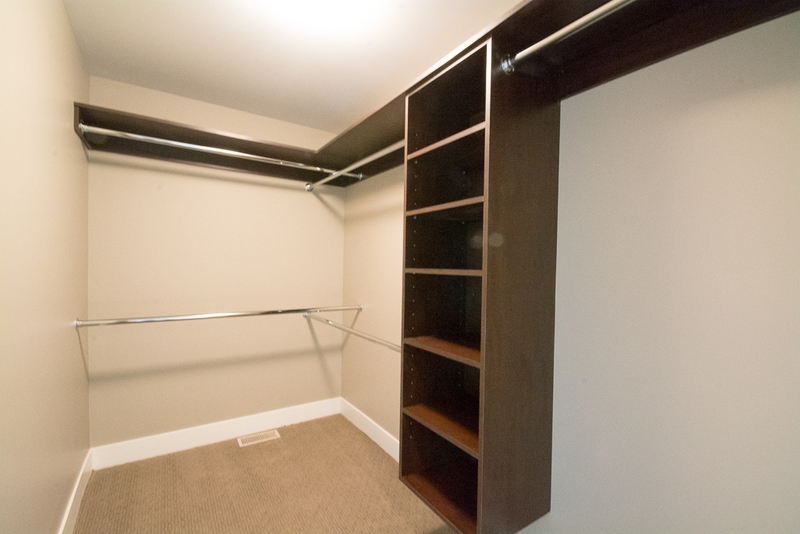 To top it off you will find room for lots of storage in a spacious head height crawlspace. The first release of new homes will be provide occupancy starting Spring 2018 and come with an attractive combination of features and options. Homes start from $588,900 GST included. Contact us for more details or click here to sign up on our mailing list. 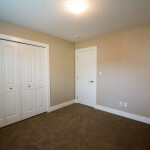 3D Tour of the Shawnigan Plan – Master of the Main plus 2 bedrooms up. 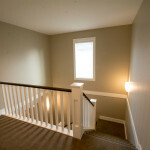 We’re please to present a 3D tour of the recently completed Shawnigan Plan. 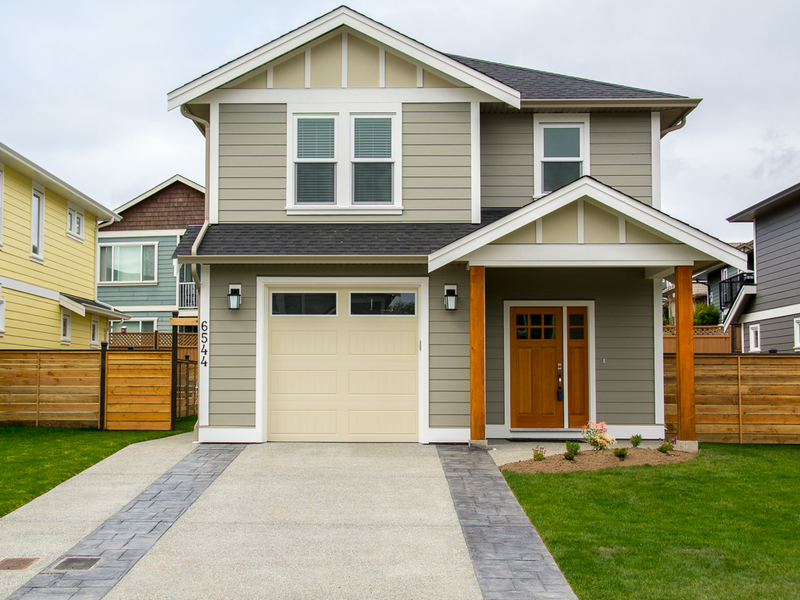 Situated on a corner lot and provided 1745 square feet of well executed space, the Shawnigan Plan is likely to be our next award winning home. Celebrating their 48th year in business, Totangi Properties is a locally-owned and operated award winning property development and land management company established in 1968. In 2014 Totangi was ranked #1 in Canada for Customer Satisfaction by Avid Ratings. Brothers Warren and Blair Robertson and their team work closely with the 2012 Built Green Builder of the Year, SC Smith Building Company, in the creation of Woodland Creek and are committed to creating affordable, high-quality residential properties with lasting homeowner value. 2012 Gold CARE Award winner for Best New Subdivision, Woodland Creek is a residential neighbourhood of new homes in the heart of Sooke, British Columbia – a waterfront community near Victoria BC. A planned residential community with over 120 home completed to date, Woodland Creek was designed with the objective of providing a wide range of new housing opportunities for the community; close to schools, parks and the Sooke shopping and service core with the fundamental commitments of quality construction, lasting value and the long-term commitment of an established local developer. We are thrilled to introduce a new technology to enable online home buyers to experience a realistic immersive 3D view of an actual new home at Woodland Creek. 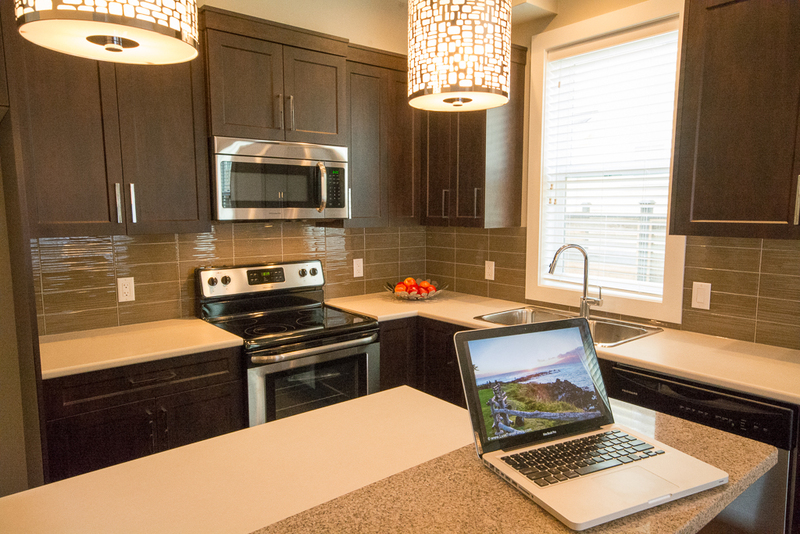 Whether you’re across town or across the country, the ability to control an actual walkthrough of our homes takes online virtual touring to a new level. 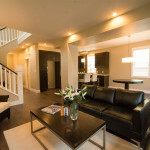 Tour a home just like you are there. 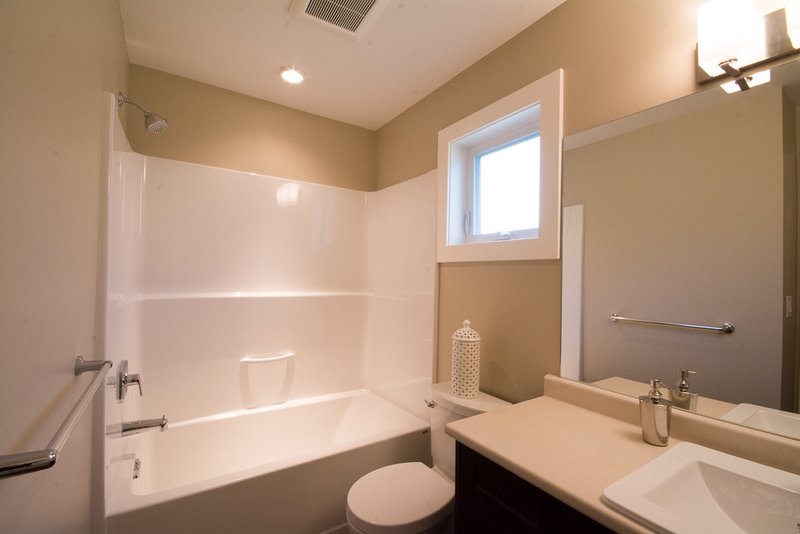 Move in and out of rooms as you wish, feel the flow of the home and experience the true value of a Woodland Creek new home – it’s finishing level, customized features, and craftsmanship. Take a moment now to take in this experience – you’ll be amazed. More plans to come — take 60 seconds to explore Woodland Creek. 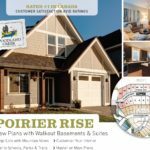 Our designer pulled out all the stops in designing this unique corner lot plan for the award winning Woodland Creek neighbourhood in the charming town of Sooke by the Sea just west of Victoria, British Columbia. The classic Arts and Crafts lines with a hint of country living captured by a bright kitchen and living area surrounded by a sunny verandah and enhanced by ‘master on the main’ living will appeal to the baby boomer home buyer looking for quality, massive curb appeal, and the ability to age in place. 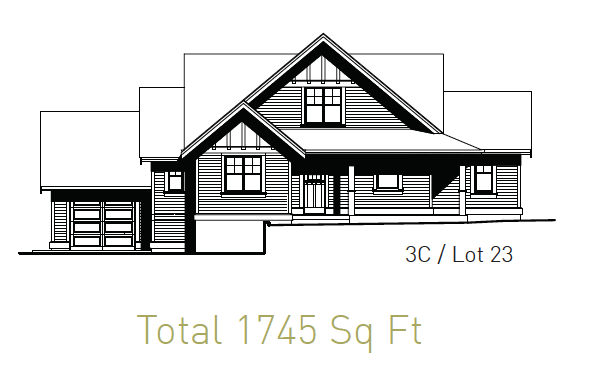 The Shawnigan is an exceptional offering with a 1745 sq ft of open design living with incredible curb appeal specifically designed for a corner lot. 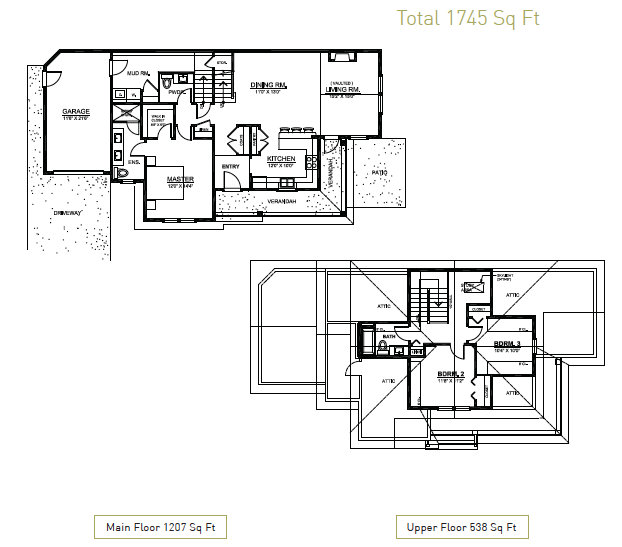 We designed this new home with the retiring baby boomer in mind or executive couple, providing a large master bedroom, walk in closet, and 4 piece ensuite with double vanity on the main floor and an additional 2 bedrooms, flex room and 4 piece bathroom upstairs. 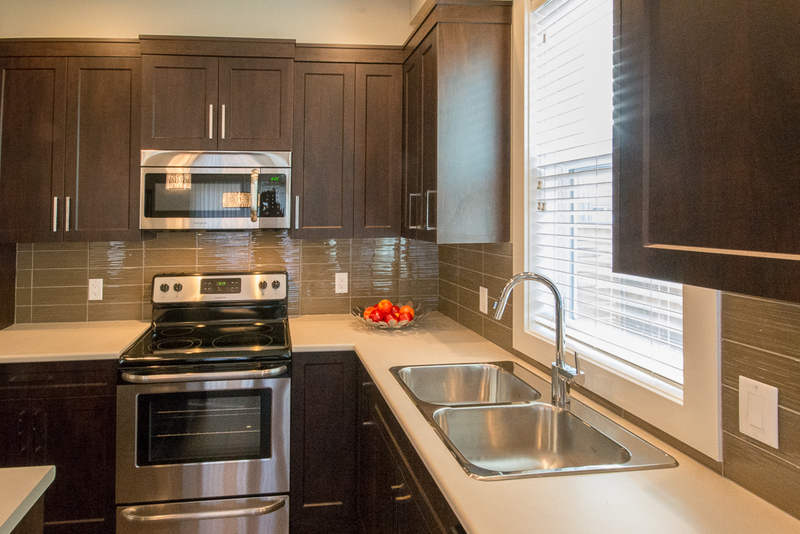 The homes feature thoughtfully designed interiors with timeless finishes and features offered at Woodland Creek with the opportunity to choose selections and upgrades. 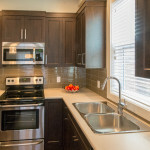 The main floor also features a gourmet kitchen with soft close cabinet doors , full extension drawers, glass tile backsplash & quartz breakfast bar. Walk past the well planned dining-living room enhanced with a fireplace with wood mantle and tile surround to access the wrap around verandah and patio area. 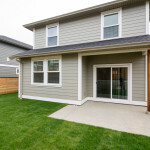 As a corner lot plan, the home is designed to take advantage of street views and it connection to the neighbourhood’s activity with the garage tucked around the rear side yard with a generous mud room and laundry off the garage. 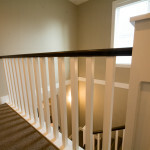 All of this in a welcoming community close to schools, shopping and Woodland Creek Park and Playground. 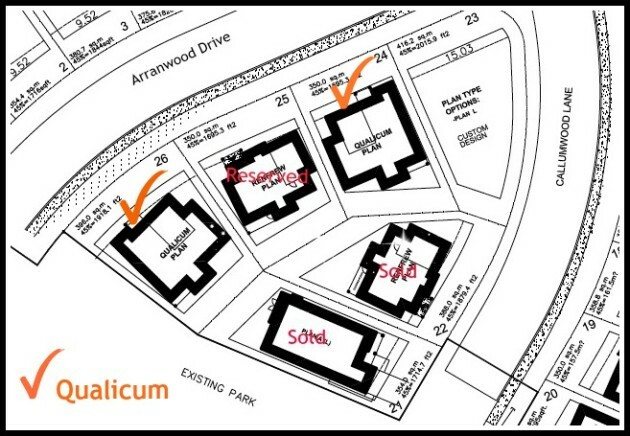 The last Shawnigan plan is available on Lot 23 in Phase 3C of Arranwood Drive. 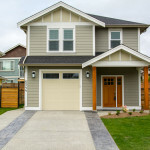 Built by registered licensed builder, SC Smith Building Company for the developer, featuring a 2-5-10 New Home Warranty and supported by the award winning Totangi Properties customer service. 2012 Gold CARE Award winner for Best New Subdivision, Woodland Creek is a residential neighbourhood of new homes in the heart of Sooke, British Columbia – a waterfront community near Victoria BC. 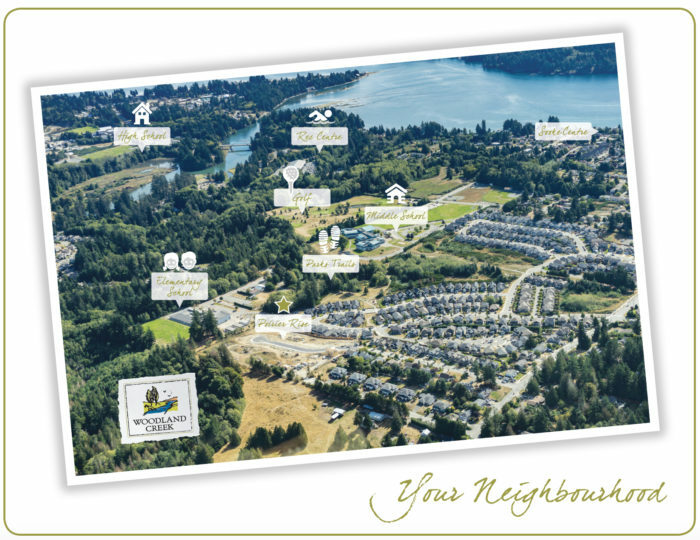 A planned residential community, Woodland Creek was designed with the objective of providing a wide range of new housing opportunities for the community; close to schools, parks and the Sooke shopping and service core with the fundamental commitments of quality construction, lasting value and the long-term commitment of an established local developer. For more information, visit www.totangi.ca . 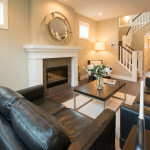 New Showhome Open at Woodland Creek – the Tofino Plan – a great family home. A spacious master bedroom, with a large walk-in-closet and ensuite bathroom with a heated tile floor, an attractive living area with a cozy fireplace finished with a wood mantle and tile surround, and an individual energy efficient geothermal heating, A/C, and hot water system, are just a few of the compelling features of the Tofino plan, our new display home at 6544 Callumwood Lane in the beautiful west coast town of Sooke, British Columbia just west of Victoria. 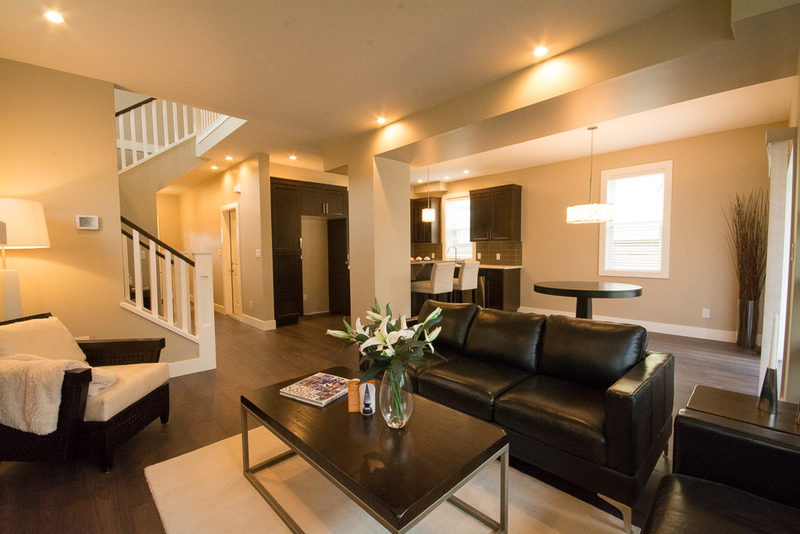 Built on one of the last geothermal lots on upscale Callumwood Lane, the Tofino offers 1,566 square feet of new home living on 2 floors. 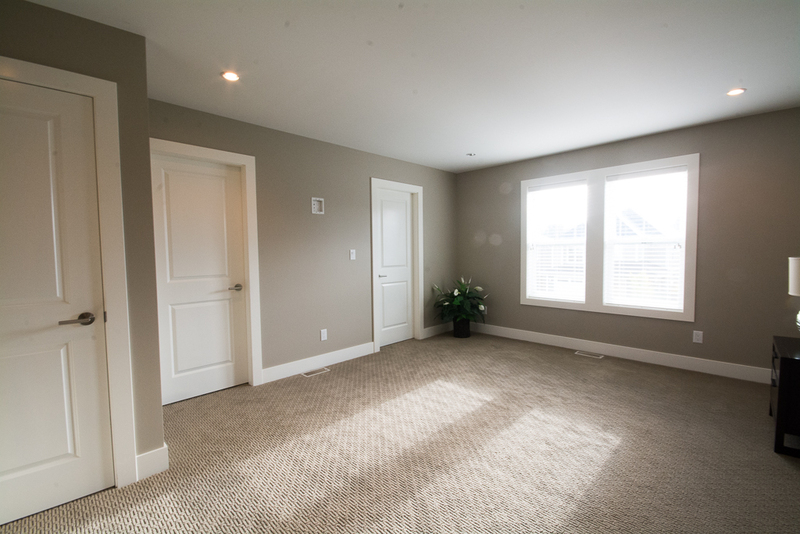 The main floor offers a great room approach with a spacious living, dining, and kitchen area and powder room and 1 car garage. 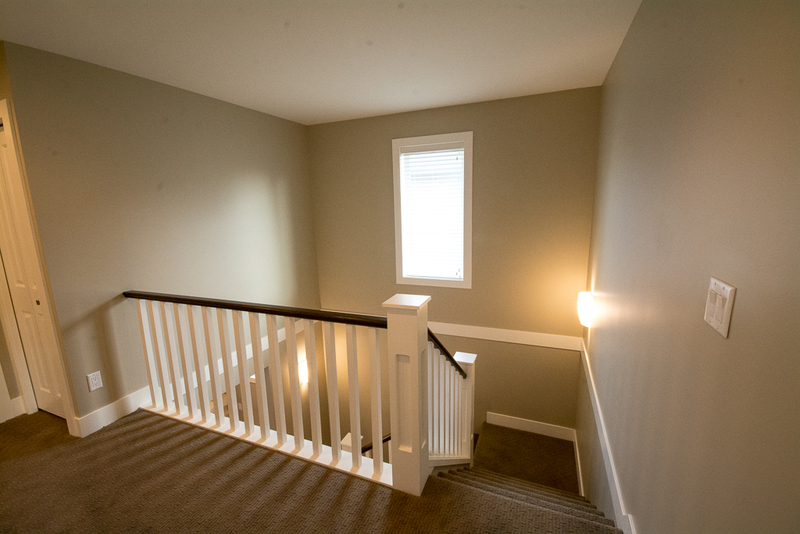 Follow the open staircase upstairs to a master bedroom with a walk-in closet and full ensuite bathroom, 2 more good size rooms, a main bathroom and laundry. Floor Plan Link. 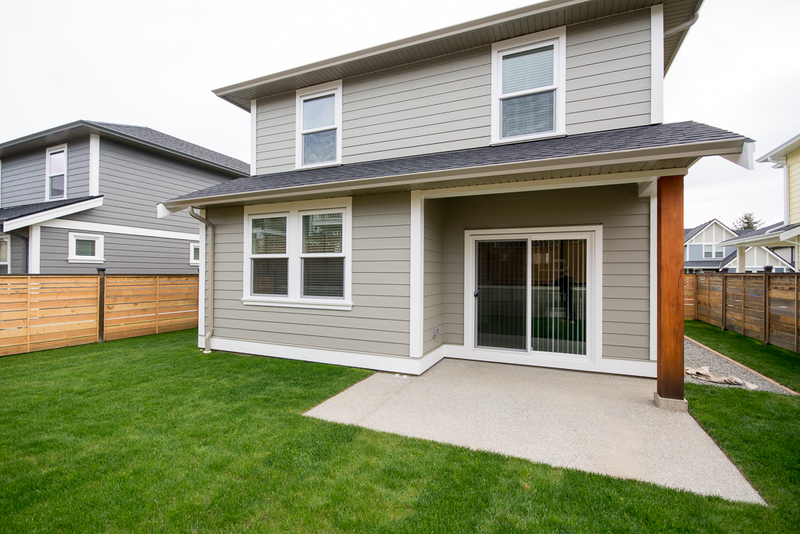 The individual ground source geoexchange heat pumps deliver superior energy efficiency (save over $1,000 per year), home comfort, and clean air through a filtered force air system. 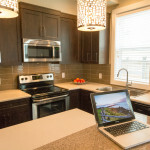 No strata fees, the subdivision is fee simple ownership and you own your geothermal system individually. Open House Hours 1PM-4PM Saturday and Sunday. Totangi Properties – Celebrating their 48th year in business, Totangi Properties, the developer of Woodland Creek, is a locally-owned and operated award winning property development and land management company established in 1968. In 2014 Totangi was ranked #1 in Canada for Customer Satisfaction by Avid Ratings. 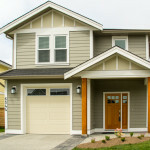 SC Smith Building Company – The 2012 Gold CARE Award for Built Green Builder of the Year, SC Smith Building Company is a local, residential real estate contracting firm specializing in distinctive new homes and timeless renovations. By utilizing practical, modern solutions and old world attention to detail and building philosophies the skilled, professional team repeatedly provide a successful building experience for their clients. Woodland Creek – 2012 Gold CARE Award winner for Best New Subdivision, Woodland Creek is a residential neighbourhood of new homes in the heart of Sooke, British Columbia – a waterfront community near Victoria BC. 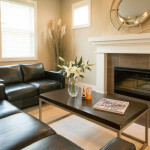 A planned residential community, Woodland Creek was designed with the objective of providing a wide range of new housing opportunities for the community; close to schools, parks and the Sooke shopping and service core with the fundamental commitments of quality construction, lasting value and the long-term commitment of an established local developer. We are excited to launch a new offering of Westcoast Modern homes by our builder SC Smith Building Co. New designs that take cues from both contemporary and westcoast influences and complement the energy and lifestyle of Sooke. 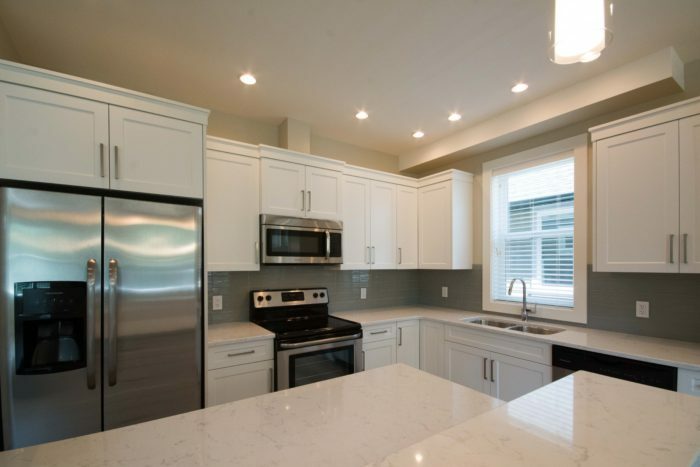 Located on lots 11-13 on Arranwood Drive in Woodland Creek, these homes have a long list of features normally only found in custom homes: waterfall kitchen islands, floating ensuite vanity with vessel sinks, wall mounted faucets, flat panel modern cabinetry and more. Construction has started with the first home available in the summer of 2017. Totangi Properties – Celebrating their 49th year in business, Totangi Properties, the developer of Woodland Creek, is a locally-owned and operated award winning property development and land management company established in 1968. In 2014 Totangi was ranked #1 in Canada for Customer Satisfaction by Avid Ratings. On February 16th, the BC Government gave buyers of new homes in British Columbia an advantage by exempting them from the Property Purchase Tax on new home purchases. This regulatory change eliminates the provincial tax payable on real estate transactions in the amount of 1% on the first $200,000 and 2% on the balance, a savings of $13,000 on a new home purchase of $750,000. 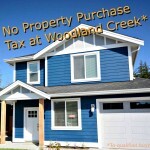 All new homes at Woodland Creek in Sooke qualify for the new tax exemption. 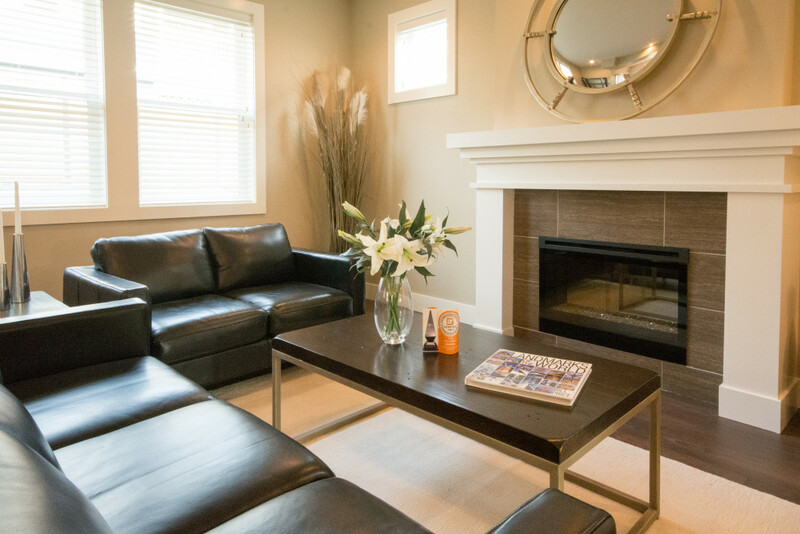 With new home prices starting at $389,900, this saves buyers a minimum of $5,000 when making a ‘new home’ purchase in one of Victoria BC’s favourite seaside communities. 1. The exemption applies only to newly built homes – not resale homes. 3. The property must be 0.5 hectares (1.24 acres) or smaller. Celebrating their 47th year in business, Totangi Properties is a locally-owned and operated award winning property development and land management company established in 1968. In 2014 Totangi was ranked #1 in Canada for Customer Satisfaction by Avid Ratings. Brothers Warren and Blair Robertson and their team work closely with the 2012 Built Green Builder of the Year, SC Smith Building Company, in the creation of Woodland Creek and are committed to creating affordable, high-quality residential properties with lasting homeowner value. 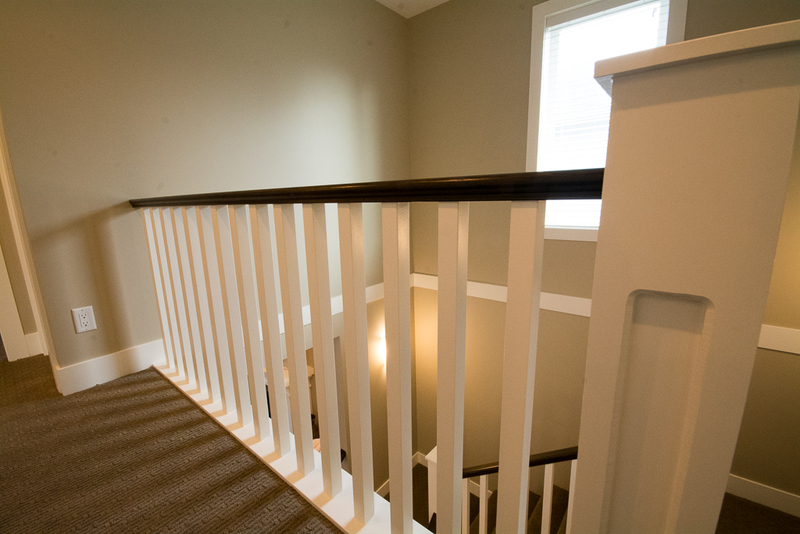 Main floor living ranks high amongst the retiring baby boomer population and with that in mind we’ve created the Qualicum plan. 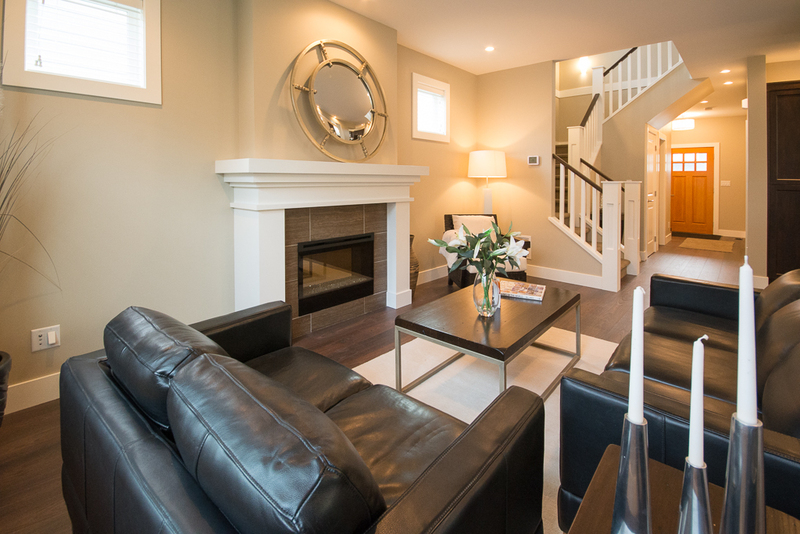 A home with a master bedroom and ensuite on the main floor with 2 or 3 extra rooms upstairs has made our Arbutus plan popular with couples looking to downsize in their retirement, but not downsize too much. 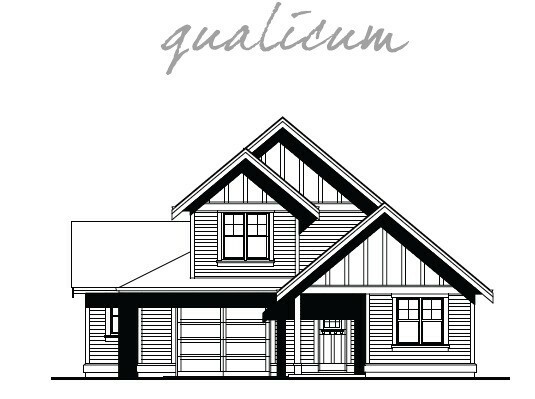 We think the Qualicum measures up nicely to meet the needs of discerning buyers looking for a ‘master on the main’ floor plan. 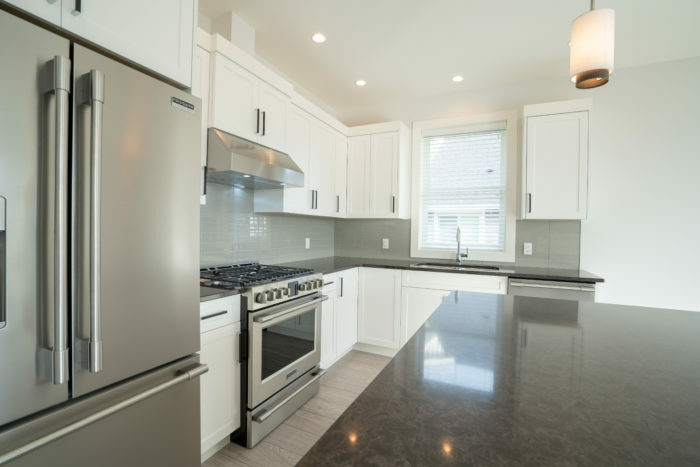 The main floor also features a gourmet kitchen complete with all appliances, soft close cabinet doors and drawers, glass tile backsplash & quartz breakfast bar. 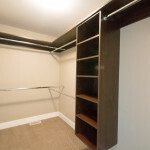 Powder room and laundry is accessed off the main hallway and next to the garage entrance. 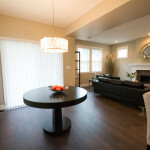 A well planned dining-living room is enhanced with a fireplace with wood mantle and tile surround and vaulted ceiling and access to a sunny landscaped and fenced yard and deck. 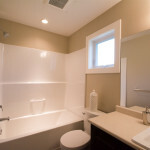 All of this in a welcoming community close to schools, shopping and Woodland Creek Park and Playground. 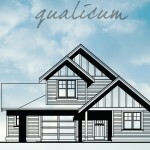 The Qualicum plans are on Arranwood Drive on Lots 26 and 24 in Phase 3C starting at $422,900 net GST included. 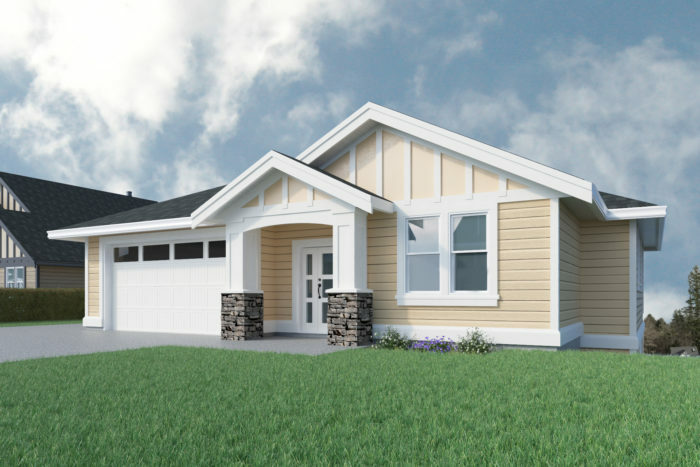 Built by registered licensed builder, SC Smith Building Company, featuring a 2-5-10 New Home Warranty and supported by the award winning Totangi Properties customer service. Occupancy Fall 2016.